I realize this is primarily a fishing blog, in the winter we fishermen must look for new things to do. I have decided to try skiing this year. Being a new skier I have been told a ski helmet is critical. I will share with you what I have learned on how to get a good one. All it takes is one collision while skiing to change your perspective. It doesn’t take much for a severe head injury. Fortunately it is easy to prevent by using a ski or snowboard helmet. But a helmet that does not fit well is little better than no helmet at all. No helmet protects your head from all injuries so please be responsible on the slopes. After doing my research I will shares some helmets I found plus goggles that are compatible with them. The one absolute necessity is for the helmet to fit properly. A helmet that is lose or ill-fitting is almost useless. Wearing goggles can also change the fit, so try them on with goggles. The proper fit will feel slightly tight but still comfortable. The helmet should not shift on your head or move back and forth. If you shake your head, this is a good test. It should not move at all when doing that. The helmet should sit low on your forehead to provide protection, about an inch above your eyebrows but not too low to block visibility and giving you the ability to wear your goggles comfortably. It is imperative that the buckle of your chinstrap fits snuggly and securely. It should tighten just under your chin and not your throat. You don’t want to be choked by your strap. In mold design helmets are made by a process that fuses the liner with the shell. This type of helmet is easy to make and very strong in design. 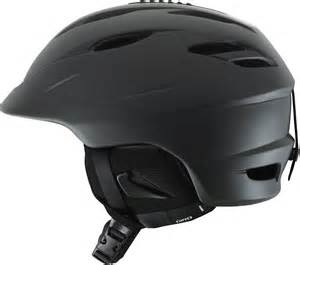 Injection molded helmets tend to have much better impact protection vs the in mold design helmet. Injection molded helmets are made with a two part process where the liner is added later so it can be separated for comfort. Choosing the right ski and snowboard helmet is important for safety. Remember, a bicycling of skateboarding helmet is not the same thing. 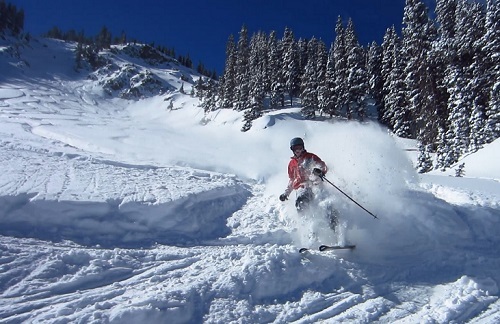 A ski helmet has a much harder shell for impact protection. They also have ear coverings to keep your ears warm plus the liner also has insulation to keep your head warm and protected. The shell of a ski helmet has been engineered in such a way to absorb an impact and dissipate the energy from the impact and disperse it throughout the shell so that your head doesn’t take the impact. This is a onetime only protection, once it is damaged it is useless for protection after that. So they must be replaced after an impact. The liner is also designed for impacts as well and made from a material called EPS. The EPS compresses on impact, helping absorb the energy from the impact. Modern helmets can be purchased with many non-essential features making the helmet more useful for skiing comfort and usefulness. Some features include shell vents allowing you air flow to adjust the temperature depending on conditions. Action camera mounts are available allowing you to connect a Go-Pro or similar video camera. Some helmets come with ear buds allowing you to listen to music while skiing. This is not recommended. Lastly various types of goggle mounts are available. Its important to think about the type of conditions you will be skiing in order to choose the best ski helmet for your needs.